Hello Blog Lovers!!! I hope every one’s weekend has been great so far! I wanted to share with you guys my new make-up brushes!! Elegant Edge is going to focus more on beauty products this year as well as continue in everything and all things about hair. I’m on a journey this year and I’m going to share it with you guys! 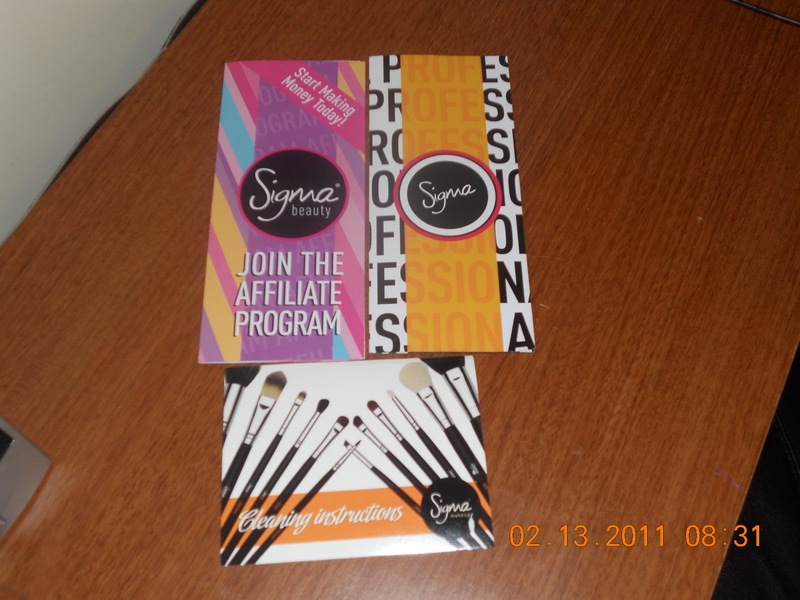 I just recently purchased my first set of Sigma Make-up Brushes and I am excited to say the least! I had heard lots of great things about these brushes and so I recently decided to purchase my first set. I shared with my Youtube subscribers that I was aiming to build up my make-up collection and along with that comes the tools that I need to create flawless looks for myself and others. The professional brush set comes with 5 brushes for the face and 7 brushes for the eyes. 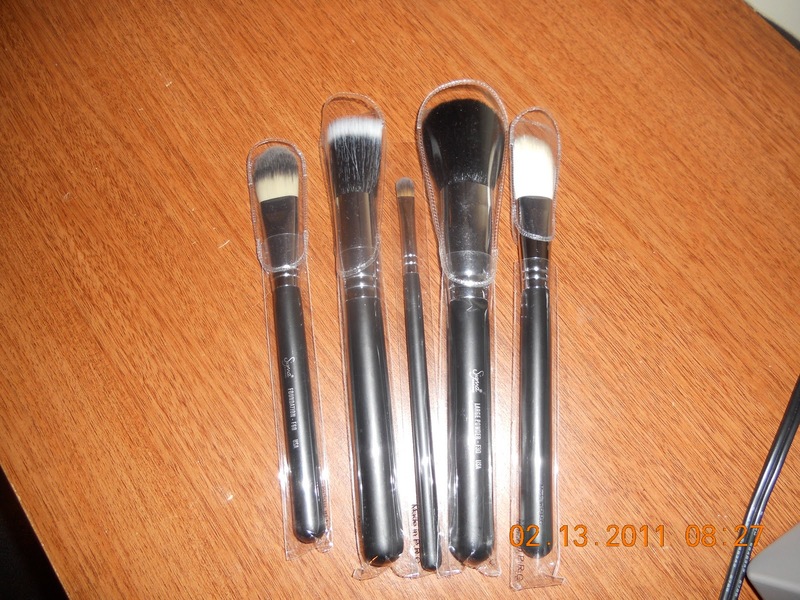 The face brushes can be used to apply and blend products, contour, and buff the face. The Eye brushes can be used to apply, shade, and blend, and dust the eye with color and texture. 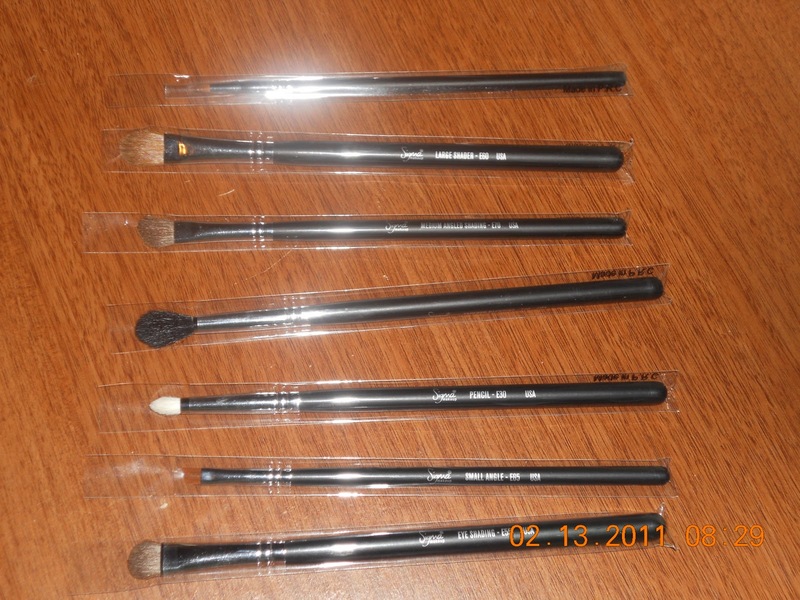 Below you will see the brushes that I purchased and a detailed description of what they are used for. I will also conclude the post with my first hand reaction and thoughts of these brushes check out my a vid from my YT Channel for more insight. Large Powder Brush (F30): Very dense with a rounded top. Ideal to apply powder products on face and body. Made with Natural bristles. Foundation Brush (F60): Can be used to apply liquid or cream foundation. Recommended to apply moisturizers and conceal large areas. Made with Synthetic Bristles. Duo Fibre (F50): Specially designed to generate an airbrushed finished when used to apply liquid foundation. Made with a blend of synthetic and natural bristles. Large Angled Contour (F40): The angled shape makes this brush ideal to apply brush or contour shades. Made with natural bristles. Concealer (F70): The rounded, tapered, flat shape makes this brush ideal to conceal the under eye area. Made with synthetic bristles. Medium Angled Shading (E70): Angled, tapered, flat top. Ideal to apply highlight shades underneath the eyebrow and on the inner corners. Made with natural bristles. Eye Shading (E55): Soft and dense with a rounded finish. Can be used to apply presses or loose eye shadows and pigments. Made with natural bristles. Pencil (E30): Precise application of color on the crease, outer corner, upper and lower lash line. Made with natural bristles. Larger Shader (E60): Flat shape is ideal for application of cream formulas and eye shadow primers. Made with natural bristles. Tapered Blending (E40): Rounded and tapered top. Specially designed to apply and blend color on the crease. Made with natural bristles. Small Angled (E65): Essential for the application of gel or cream eyeliner on the upper and lower lash line. Made with synthetic bristles. Eye Liner (E05): An extra-fine tipped brush that delivers a precise, firm, even stroke to line the eyes. Made with synthetic bristles. 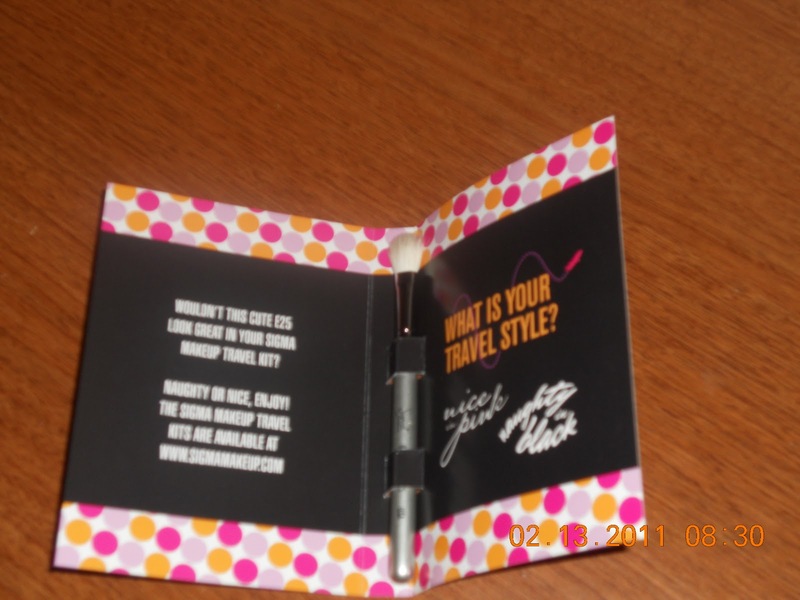 Each purchase that is made over $30.00 comes with a free gift. 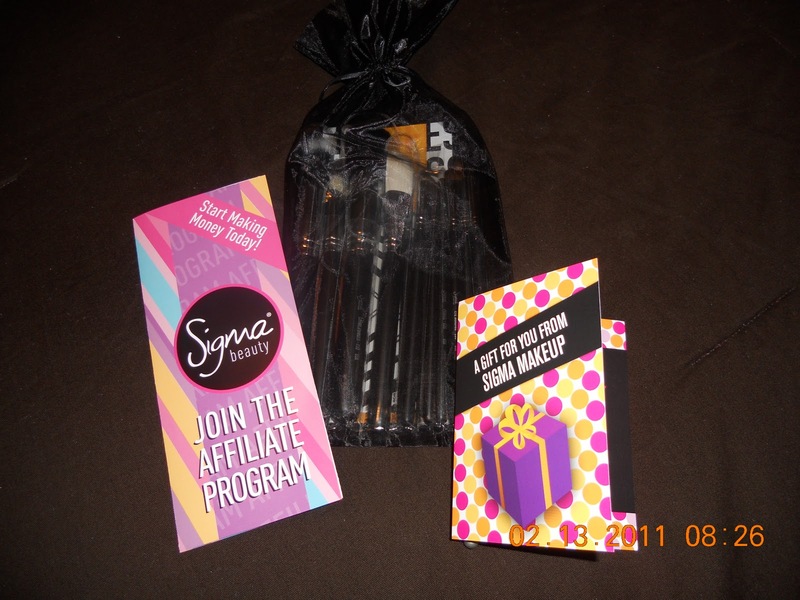 My free gift was the E25 Travel Sized Blending Brush. Included with my package. Initially my first reaction is that the brushes are extremely soft like feathers. I think every face should come in contact with these brushes when I say that I am ecstatic about using these brushes I am ecstatic!! I feel like I will get some good use from these brushes. They were not expensive and I think I may just get my bang for my buck!! My Sigma Brush Kit came with a informational card that gives directions on how to clean my brushes without ruining them completely. I think that is just awesome especially for those who are just getting into Make-up.﻿ According to the card Sigma recommends cleaning their brushes with brush cleanser or a mild baby shampoo before using but do not wet wood handle and the junction between the handle and the ferrule (metal section). Refer to the video How to Clean your Make-up Brushes on my YT Channel.